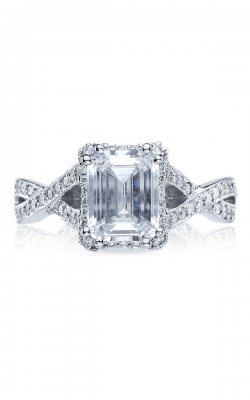 Emerald cut engagement rings feature rectangular facets that create a chic, contemporary look. 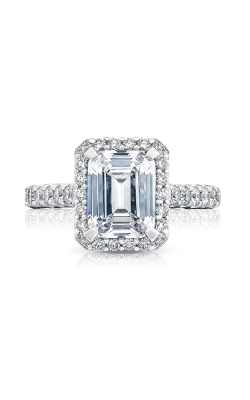 In fact, the emerald cut is the most popular step-cut stone shape. 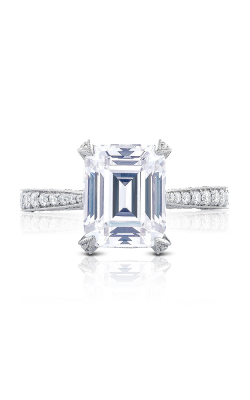 Emerald cut stones can stand alone as a solitaire or can also shine even more brightly with the addition of surrounding stones. The stone’s distinctive silhouette evokes a vintage feel, yet is tremendously trendy. 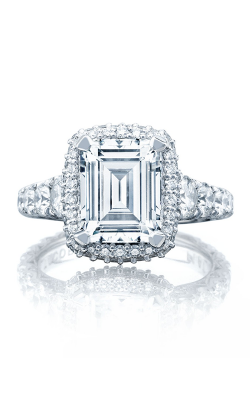 The step-cut contributes to the hall-of-mirrors effect and maximizes brilliance across the stone. The long stone shape also makes fingers appear slenderer than they really are. 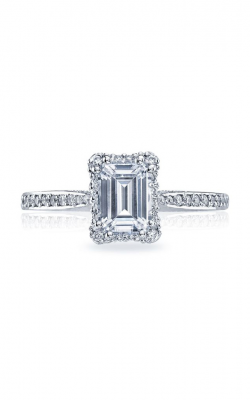 Choose an emerald cut engagement ring to elegantly stand out from the crowd. 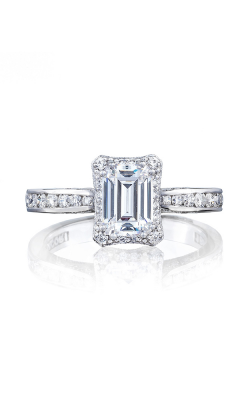 Golden Nugget Jewelers carries the signature A Jaffe Classics Collection with a focus on the center diamond. The elegant, yet minimally obtrusive side stones add another layer to this fantastic stone shape. 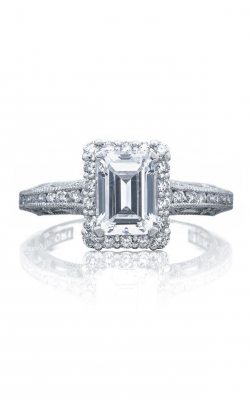 You can also look toward the Jeff Cooper Classic Collection for traditional designs and a gorgeous center stone. The Goldman Contemporary Collection also takes notes of classic designs and adds quaint side stones to add luminescence to the piece. 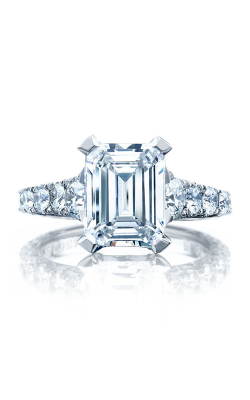 No matter what type of emerald cut stone you have, it can always be complemented with additional side stones. The ArtCarved Vintage Collection doesn’t shy away from the past. 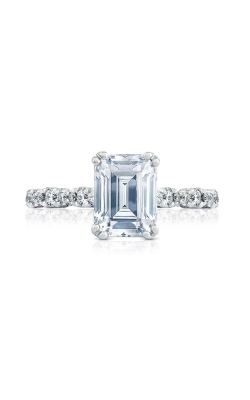 ArtCarved takes precise note of how to create a vintage-inspired design for solitaire diamonds. The Michael M Bold Collection gives extroverted personalities something to express their mood. 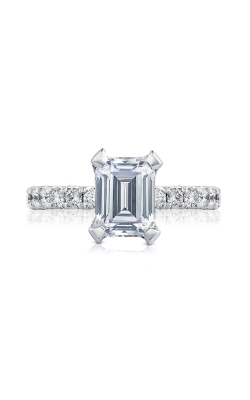 These emerald cut delights take bold to a whole new level. 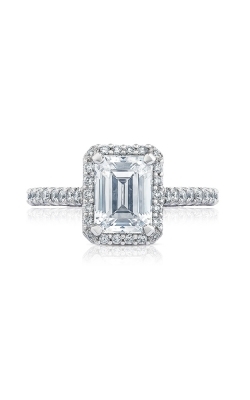 If you’re looking for sleek and contemporary designs, turn to Michael M. Golden Nugget Jewelers as it also carries popular collections from Simon G and Tacori. Golden Nugget Jewelers carries the finest selection of jewelry for any occasion. 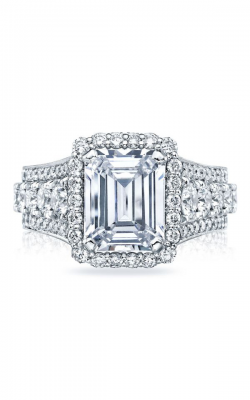 If you’re looking for emerald cut engagement rings, Golden Nugget Jewelers carefully sources rings from famous designers such as A Jaffe, ArtCarved, Jeff Cooper, Michael M, Tacori, and more so that you can find the right ring for your special day. Golden Nugget Jewelers’ service extends beyond helping you find the ring that will suit your style. They also offer services in jewelry polishing and repair to keep your investment in tip-top shape. Whether you need a piece of jewelry for a special occasion or for everyday wear, visit us in our showroom on Chestnut Street to get help from one of the Golden Nugget Jewelers trained staff members.